Founded by Dr. Kshama Kheny D.D.S. 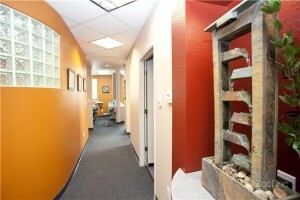 with the vision of creating a dental practice that treats every patient with dignity and first-rate care. The assistants and office staff are highly-trained and exceptionally friendly. We understand that for many, visiting a dentist can be a stressful experience. 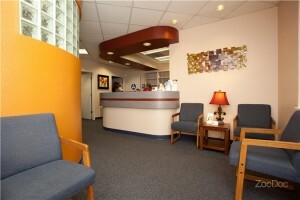 Our comfortable surroundings and compassionate dental professionals will ease your fears. Customer service and comfort are our top priority! Our office is conveniently located near downtown Pleasanton next to Amador Valley High on Santa Rita Road! 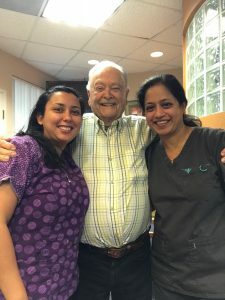 Our mission is to ensure that you receive the best attention and the highest quality dental treatment available, while experiencing unsurpassed comfort in a state-of-the-art facility. 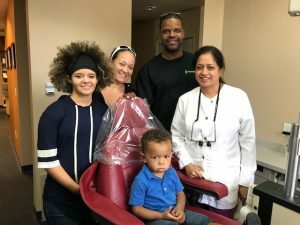 We provide dental services for the entire family, with a special emphasis on Family and Cosmetic Dentistry! You can read honest and unbiased reviews from our patients. We are a fully digital, chartless and paperless office! We have made a commitment to always stay abreast of the latest dental technology. 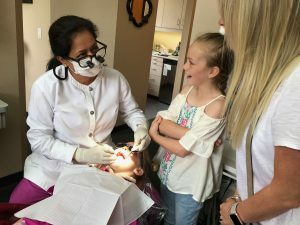 We utilize a computerized patient record system, digital x-rays and intraoral cameras that allow you to see everything the doctor sees ! We also use patient education videos that provide information to help you understand your individual needs.